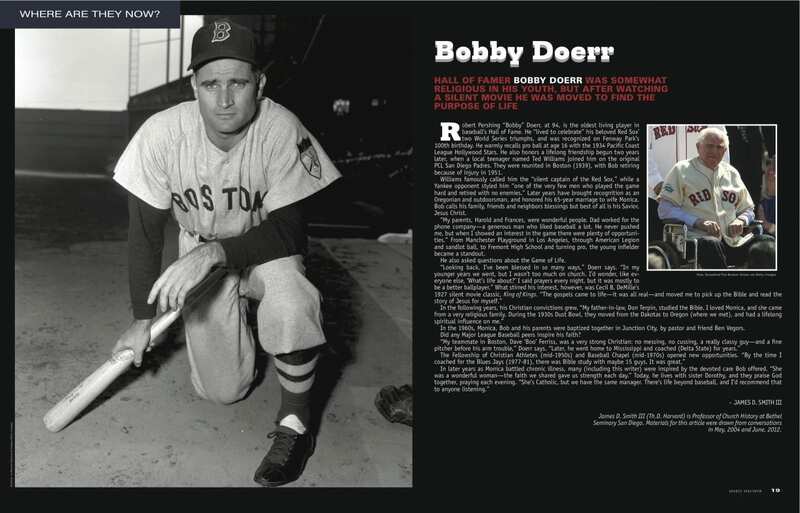 Boston Red Sox Hall of Fame second baseman Bobby Doerr died on Monday at the age of 99. 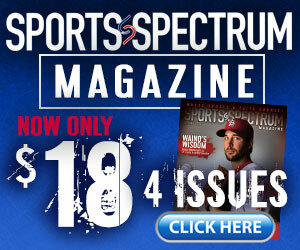 He was dubbed the “silent captain” by his former legendary teammate Ted Williams. Doerr played 14 seasons with Boston from 1937-1944, and 1946-1951. He missed the 1945 season due to service in World War II. He had a .288 lifetime average, helping the Red Sox to an AL pennant and a trip to the 1946 World Series. In the first All-Star Game played at night he hit a three-run homer and 35 years after retiring from MLB, he was inducted into the Baseball Hall of Fame in 1986. Doerr is the only Baseball Hall of Famer, ever to live to the age of 99. 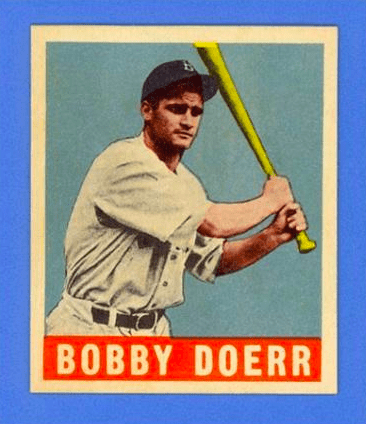 Red Sox Bobby Doerr’s LEAF baseball card from 1948-49. In the 1960s, Monica, Bob and his parents were baptized together in Junction City, by pastor and friend Ben Vegors. Click below to read more about Doerr’s faith journey from 2012.